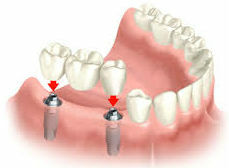 Dental implant restorations are used to replace missing teeth. No two restorations are the same. They defer on the number of teeth, the type of dental system and prosthetic restoration (crowns or dentures) used. In some case auxiliary treatments such as Guided Bone and Tissue Regeneration (GBTR) might be required. Following are some common tooth restoration treatments and their cost. The calculated price is based on using Xive dental implants, porcelain-fused-to-metal dental crowns and include healing cups, during the healing period. These prices are final and include surgery costs, the prosthetic restoration, fittings and necessary adjustments. They do not include a temporary restoration. All treatments are carried out by our dentists in our practice in Greece. We have just performed the full-mouth restoration of Mr. Patrick Flynn from Oxford UK. He has created small videos describing every step of his experience and treatment. All-on-4 is a dental implant solution that is used to restore a whole arch of teeth. An acrylic denture is placed on just four suitably placed dental implants. The denture can be fixed (also called Hybrid) or removable. It is used when all teeth are missing either for the upper or for the lower jaw. The dentist after radiographic evaluation and medical history will decide whether the patient is eligible for the process, or an alternative treatment plan should be followed. The price of a removable denture supported on 4 Xive dental implants is: £4,760 or €5,600. During the healing period we can place a temporary denture (not included in price) or modify your existing one. The same solution can sometimes be implemented using just 2 dental implants, in the case of lower jaw restorations. All prices are final and include surgery costs, construction of the prosthetic restoration, fittings and necessary adjustments. During the healing period we can place a temporary denture (not included in price) or modify your existing one. This is the dental implant restoration for edentulous patients that is closest to natural teeth. 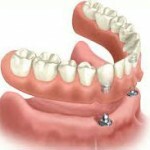 A porcelain bridge consisting of 12 crowns is fixed permanently on 6 suitably placed implants. This is a fixed restoration. It is the best solution both aesthetically and functionally and probably the most durable one. 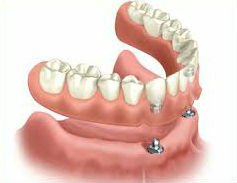 The price of a porcelain bridge supported on 6 Xive dental implants is: £7,330 or €8,620. Xive dental implants are premium implants widely known for their reliability. They are manufactured by Denstply a German-American leader in the field of implantology. 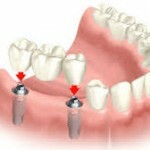 The system is supported by more than 25 years of dental implant industry experience. The systems advantages include surgical flexibility, prosthetic versatility and superior primary stability in all bone classes. All Xive implant systems come with a lifetime warranty. Functionality, aesthetics and psycology to name but a few. We have compiled the 10 most important reasons to receive dental implant treatment, including why choose dental implants in Greece.